We all know the gun range mantra of “eyes and ears” and, when we’re at the shooting range, many of us wear this protection without fail. However, it is not uncommon for a hunter to head to the woods without hearing protection in place. I’ll raise my hand and say I am one of them. Hunters spend hours sitting in a blind or walking in the upland fields not knowing when or if a shot will ever be fired. Muffling noise for those limited times when you shoot means every other minute when you’re NOT firing sounds like you are under water. I know that I like to hear the bird calls as dawn breaks, the soft pucks of a hen turkey, or the rush of wings and cackling as a rooster flushes. 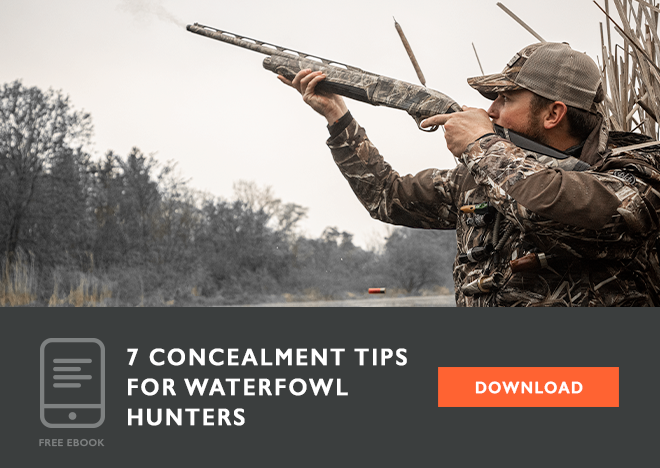 I will often start with foam ear plugs firmly in place, but it doesn’t take too many minutes of walking the fields or missing conversations with my hunting partner before I take them out. 5. Continued exposure to noise causes hearing loss. Decibels (abbreviated dB) are the unit of measurement of the force of a sound wave. That force increases exponentially, so a sound 10 times louder than total silence is 10 dB, but 20 dB is 100 times greater than silence, and 30 dB is 1,000 times greater. Noise-Induced Hearing Loss (NIHL) occurs when the tiny hairs – “stereocilia” – in the inner ear (the ones that translate sound vibrations into electrical signals to the brain) are damaged or die due to loud noises. Stereocilia do not recover or grow back, so damaging them will lead to constant ringing in the ears (tinnitus) and eventually permanent hearing loss. Any sound greater than 85 dB (think restaurant noise or heavy traffic) can contribute to hearing loss, and continued exposure to loud noises can permanently damage hearing. 4. Momentary bursts of intense noises can be as harmful as continued exposure. While continued exposure to loud noises can cause NIHL, increased force of a sound can have more immediate impacts to hearing. As a result, the louder a noise gets, the shorter amount of time it takes before hearing loss begins. Exposure to noises greater than 115 dB can cause hearing loss in less than 30 seconds. 3. Gunshots range from 140 decibels to 190 decibels or more. To get a sense of how gunshots compare to other noises, it is helpful to look at the average decibels for other everyday sounds. As a baseline, normal conversations and household noises range around 40-60 dB. A lawnmower typically comes in at 90 dB, and a motorcycle or ATV is 100 dB. Gunshots register between 140 dB and 190 dB, depending on the caliber of the gun. Now knowing how the force of the sound increases exponentially, you can see that we are talking trillions of times greater than silence. Every single gunshot without hearing protection can contribute to hearing loss. 2. Hunters and shooters are far more likely to experience hearing loss. Nationwide, about 20 percent of people have hearing loss and that number increases to one in three for people over 65 years old. However, a study of around 3,700 individuals with just over 1,500 of those being hunters or shooters found that sportsmen were far more likely to have high-frequency hearing loss. In fact, the risk of developing hearing loss increases by 7 percent for every five years of hunting or shooting. Yet, the study also found that 38 percent of shooters and 95 percent of hunters reported never wearing hearing protection. 1. Hearing protection works… but only if you use it. Hearing protection devices reduce the intensity of the sound that enters your ear canal. This sound reduction, known as attenuation, can prevent damage to the stereocilia ultimately lowering the amount of hearing loss. Current hearing protection devices can either be passive (think basic foam ear plugs or ear muffs) blocking noises over a certain decibel level or active. Active hearing protection senses noise levels at dangerous levels and provide instant protection for sounds over that level. If worn every single time a shot is fired, or when working with loud equipment, hearing protection devices can stop future loss of hearing. The key, however, is they must be worn every time, so finding hearing protection devices that are comfortable and easy to use is essential. For hunters, active hearing protection that allows or even magnifies everyday noises, but blocks noises at dangerous levels, is key. Beretta’s recent acquisition of Off Shot hearing protection makes this a reality. Off Shot Mini Headsets offer passive hearing protection that blocks all noises above 32 dB. The Beretta Off Shot ST-R active ear plugs automatically remove noises greater than 85 dB. The Off Shot ST-W model even offers Bluetooth, so you could listen to music or answer a call (perhaps something more suitable to the gun range than the hunting fields!) Even with all that technology, Off Shot Mini Headsets weigh only 7 grams, and the active devices weigh only a few grams more. With this light weight and the ability to select the size of the foam plug that goes into your ear canal, Off Shots are comfortable enough to wear for hours. 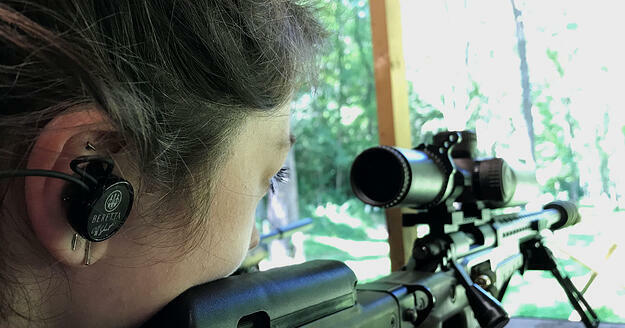 Active hearing protection devices offer the best option for hunters – blocking the debilitating effects of gunshots without reducing the ability to hear conversations or natural sounds. This, and their comfort makes it much easier to simply keep them in all day so they are on and ready for whenever a shot may be fired. 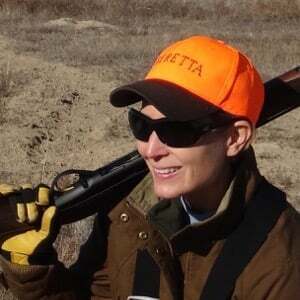 Some hunters may be averse to the steeper price tag of high technology active hearing protection devices. However, the cost of hearing aids can be as much as $10,000 per pair – and maintaining your own hearing is priceless. This should be an investment every hunter makes so that hearing protection is worn every single time.